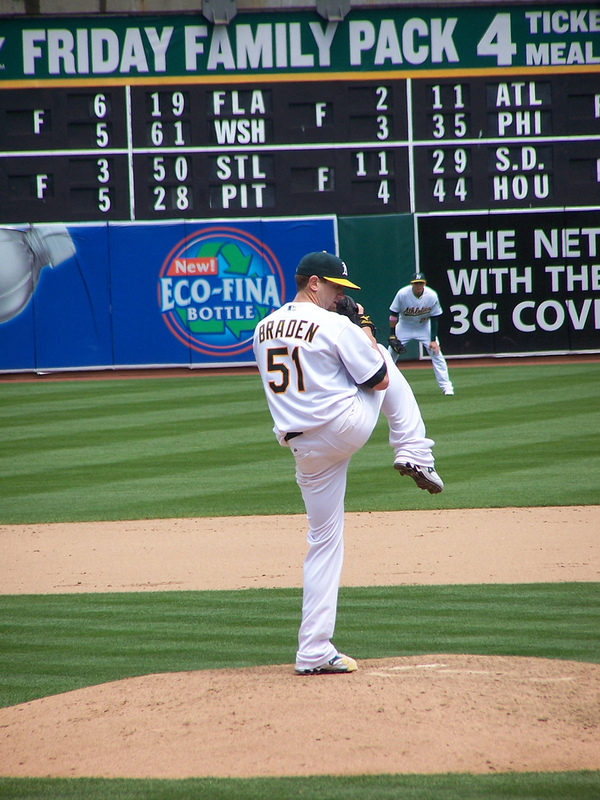 Yesterday, Dallas Braden, of the Oakland Athletics pitched the nineteenth ever perfect game in the major leagues. In a little over a week he has gone from an amusing footnote on the 2010 season to a historical figure in the sport. Against the New York Yankees he berated the highest paid man in baseball, Alex Rodriguez, for breaking an ‘unwritten rule’ by running across Braden’s pitching mound. Last night he retired 27 hitters in sequence, without letting any man reach base. He now joins an elite group, completing baseball’s greatest (and perhaps rarest) feat. One fantastic feature of baseball is the importance it gives to history and to records. This means that any of the near 2,500 games each season has the capacity to become something truly memorable. And so it was last night, as the A’s faced the team with the best record in 2010, the Tampa Bay Rays. Little did they know what lay ahead. I’m sure they’ll never forget it. It also means the most incredible moments in the sport are not just restricted to the most successful teams and the best paid players. Theoretically, any pitcher could have his day, as Braden did yesterday. As long as baseball is played, he will not be forgotten. We also saw the humanity of the sport. Braden chose to celebrate with his grandmother, who had done so much for him since he lost his mother to cancer, while he was at high school. And all on America’s Mother’s Day. Perfect.